At the gravel pit’s annual picnic, Fred is somewhat of a party pooper, unwilling to participate in the fun and games. He goes off by himself instead and finds a tree under which he falls asleep. He wakes to find the picnic over, and a good many changes besides. 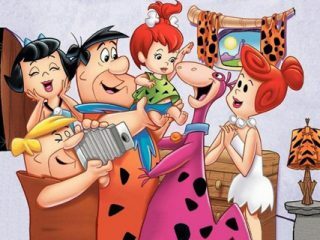 Barney has become an oil tycoon–and an old man; Pebbles and Bamm-Bamm are grown and married; and Wilma is an old lady whom Barney has taken in as a charity case. Has Fred slept his life away?